Happy Friday (and September) everyone! This has been such a busy week, so I'm really looking forward to this long weekend. Aren't holidays on Mondays the best?? I'll be celebrating the holiday with some friends, and will be eagerly anticipating the unofficial end of summer by breaking out all things pumpkin. I don't know about you, but it seems like stores have really toned down the pumpkin overload this year (last year Starbucks was already hyping up the PSL by mid August!). I hope you all have a great weekend, whether or not you have a long one or just a regular one. See you on Monday! Not even ashamed to say that I love Fifth Harmony, and their new album is great for running! They always have some killer pop anthems, with lots of girl power thrown in. I do miss Camila Cabello (who is working on her first solo album I believe), but the other four are so talented by themselves! Talk about worlds colliding- I've been a Reddit user for a few years now and love using it to as a way to talk about my interests, hobbies, and travels with people all over the world, and I've been a big fan of the How I Built This Podcast ever since it came out. In this episode, the two creators of Reddit talk about their friendship and how they built the company together. It was really interesting to hear about and I loved the interview! I've had my Garmin Vivoactive for a few years ago, and I still absolutely love it. The features are great, the GPS is accurate, and I can start running pretty much as soon as I turn it on. The only downer was that the strap started to rip, so I was thinking about buying an entirely new watch to replace it. Luckily I did a little research before spending $$$$ and found out that you can just order replacement straps for the watch! 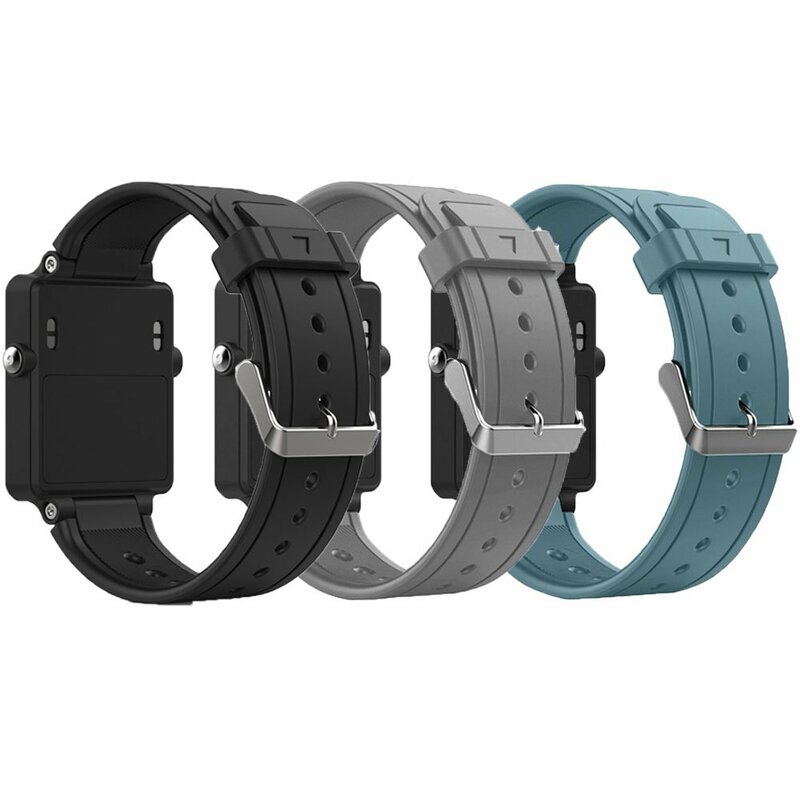 Not only that, but they come in tons of different colors, and are pretty reasonably priced (especially considering the cost of a new watch). I just got a 3 pack of straps in different colors, and now I'm set for a while. I'm still slowly making my way through the show while I have a free trial of HBO! I'm almost done with the second season, and finally getting into it. There are still so many characters to keep track of, and I've pretty much given up on trying to remember who everyone is. But- my saving grace has been reading the wikipedia entry on each episode after it ends, which helps me understand the plot a bit better. I still think it's a bit graphic for me at times, but the plot and characters make it worth it. It's that time again- the final Slam of the year! This one is in nearby New York, which means that I can follow along with pretty much all of the matches (yay for same time zone!). 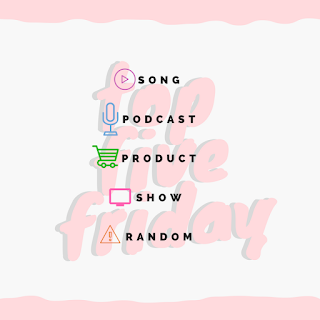 There's so much going on every day and it's impossible for me to follow everything, which is why I love listening to different podcasts to get caught up every day. I've been listening to the daily specials on some of my favorites- WTA Insider and No Challenges Remaining in particular- and it's been making my morning runs fly by! I have a 4 day weekend and am so Thankful! It's a perfect time to break out the fall decorations but I vow not to do it before Labor day, so maybe next weekend! I'm so thankful for my 4 day weekend too! We started watching an old season of Big Brother. Season 12- the first one with Brendan and Rachel. I didn't like Rachel back then, but now rewatching it, I am entertained with how much of a hot mess she is! I'm just ogling all the mancandy at this years US Open. Where have they been all my life??? I have been loving the podcast Up and Vanished! I haven't heard about the How I Built this Podcast! I will have to check it out! Hooray for a long weekend! It's just a regular weekend here but on Thursday we fly out to Hawaii for a three week vacation so I'm not complaining! !